යාලුවනේ ඔන්න මම අද ගෙනාවා මාර වටින විඩිහෙ වෑඩක්. ඔයාලට සමහර වෙලාවට හිතෙනව අති 'අනේ මටත් වෙබ්සයිට් ඒකක් තිබ්බනම් මගේම domain එකකට' කියල. 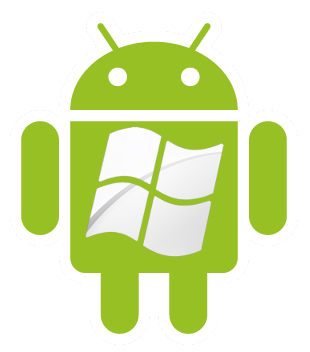 ඒත් එකම ප්‍රශ්නේ අපේම domain එකකට සල්ලි ගන්න එක. අද මගේ මේ post එකෙන් ඔයලට මම කියල දෙනව අපේම domain එකකට website එකකුයි ඒ doamin එකටම email එකකුයි හදන විදිහ. 1වන පියවර:- පහල තියෙන 'visit site' කියන එක clicks කරල, තප්පර 5 ඉවසල 'skip ad' කරන්න. 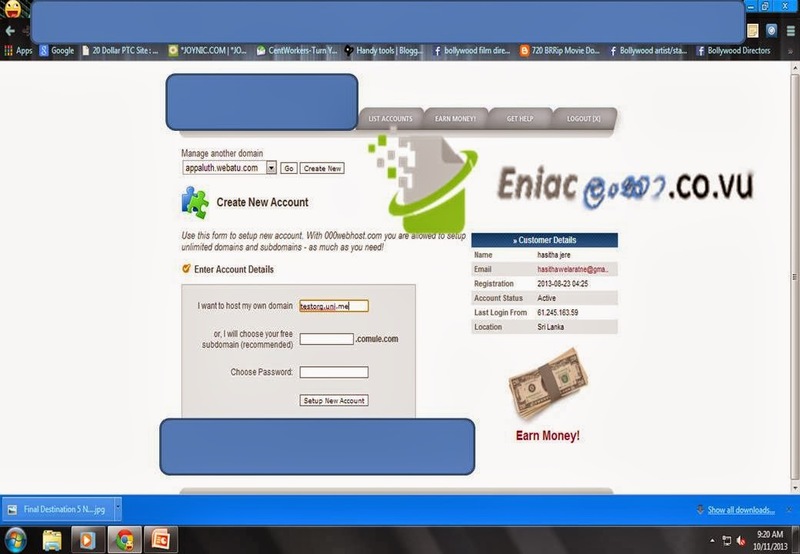 ඊට පස්සෙ මෙන්න මේ වගේ site එකකක් ඔයාලට පෙනෙයි. ඊට පස්සෙ එතන කියන තෑන ඔයට අවශ්ය domain එකේ නම type කරල register domain කියන button එක click කරන්න. දෑන් ඔයගෙ email account එකට ගිහින් spam එකෙ හරි inbox එකෙ හරි තියෙන activation email එකෙන් activate කරගන්න. 2වන පියවර:- පහල තියෙන 'visit site' කියන එක clicks කරල, තප්පර 5 ඉවසල 'skip ad' කරන්න. එතන නිකන් ඔයට කෑමති subdomain එක දාල, නම දාල, email එක දාල, password එක දාල create my account කියල තියෙන button එක click කරන්න. දෑන් ඔයගෙ email account එකට ගිහින් spam එකෙ හරි inbox එකෙ හරි තියෙන activation email එකෙන් activate කරගෙන members area එකට ගිහින් login වෙන්න. ඊට පස්සේ ඔයගේ list of your domains එකේ domain වල ඔයගේ register වෙච්ච domain එක තියෙනව, එතන උඩ create new කියල තියෙන button එක click කරන්න. එතන කියන එක ඉස්සරහ ඔයා 1වන පියවරේ register උන domain (uni.me domain) එක මෙතන type කරල, password එකත් type කරල setup new account button එක click කරන්න. ඊට පස්සෙ uni.me එකට ගිහින් ඒකෙ login වෙලා ඔයගෙ domain එක යටතෙ තියෙන options එක click කරන්න. එතනදි activation key එක ඉල්ලුවොත් අර email එකට ආපු activation email එකේ තියෙන key එක දාන්න. 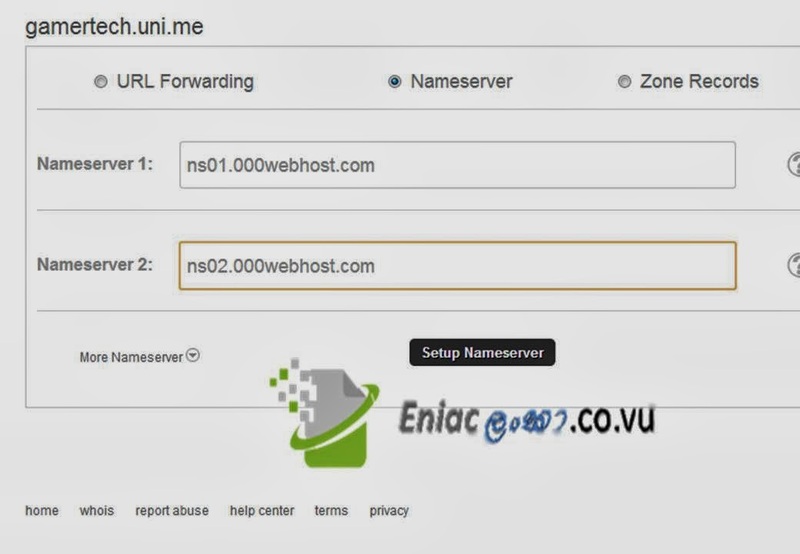 ඊට පස්සේ එකේ nameserver කියන tab එකට ගිහින් මෙන්න මේ nameservers දෙක දාල setup nameservers කරන්න. දෑන් දවසක් විතර තියන්න nameservers setup වෙන්න, ඊට පස්සේ අර 2වන පියවරේ register වෙච්ච webhost site එකට ගිහින් login වෙලා අර uni.me domain එකේ go to cpanel යන්න. එතන උඩම notice එක නෑත්නම් වෑඩේ හරි, තාම ඒ notice එක තියෙනවනම් මට email එකක් එවන්න. දෑන් මූලික වෑඩ ටික ඉවරයි! 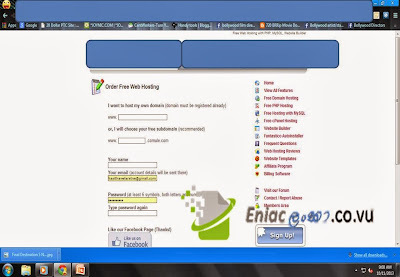 3වන පියවර:- email account එකක් webhost එකෙන් හදන හෑටි! webhost එකට ගිහින් login වෙලා register වෙච්ච් domain එකෙන් go to cpanel යන්න, ටිකක් පහලට යන කොට email යටතේ manage email accounts කියල එකක් තියෙනව එක click කරන්න, ඒකෙ ඕන email එක දාල password එකත් දාල create ඔබන්න. දෑන් Back to Email Accounts යන්න. 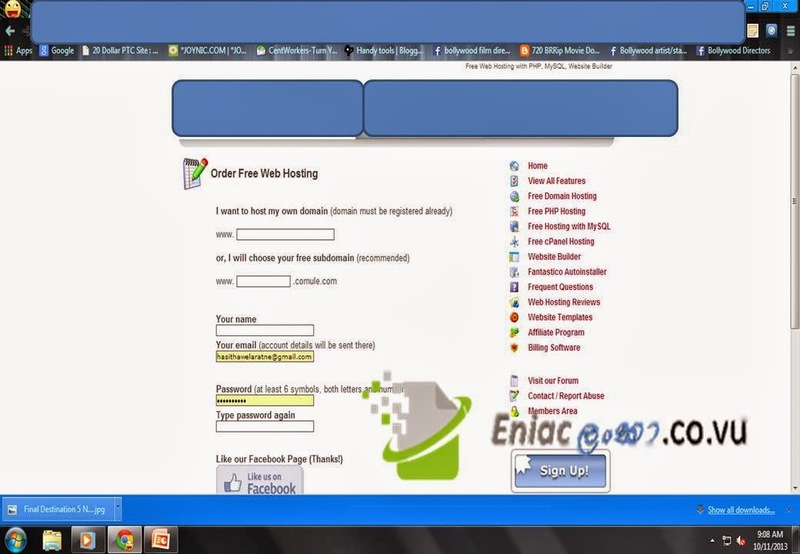 දෑන් enter email වෙලා email එකක් යවල බලන්න. දෑන් වඩේ ඉවරයි, අමතක කරන්න එපා fb like එකක්කුයි comment එකක්කුයි දාල යන්න! sub domain වැඩක් නෑ නේ.